Screenprinted on Rabbit Skins 4400 100% cotton onesies. Not sure what size you need? 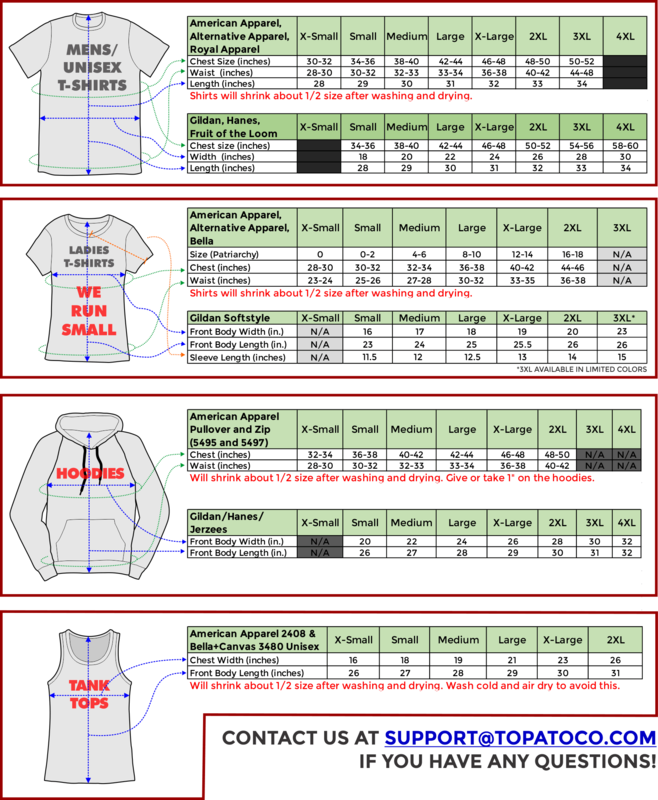 We have all these size charts!